Mix up this formalwear favourite by opting for a bold coloured version, sharp accessories and dandy footwear. 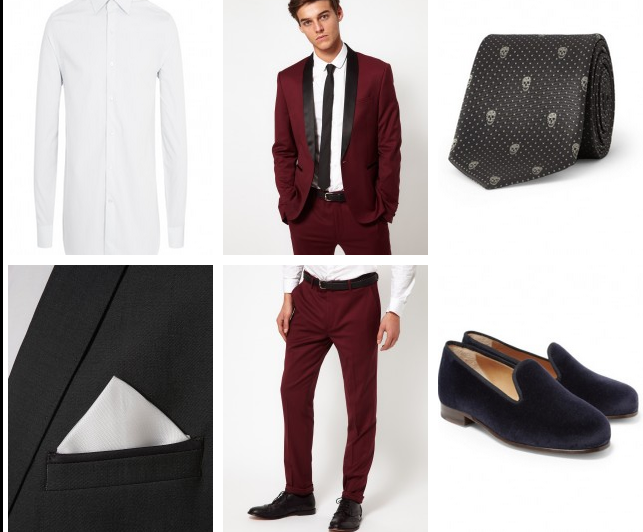 A burgundy tuxedo is a solid option, Keep the shirt nice, simple and, above all, plain white. Just be wary not to clash your suit with the tie; it’s all about understanding basic colour principles. 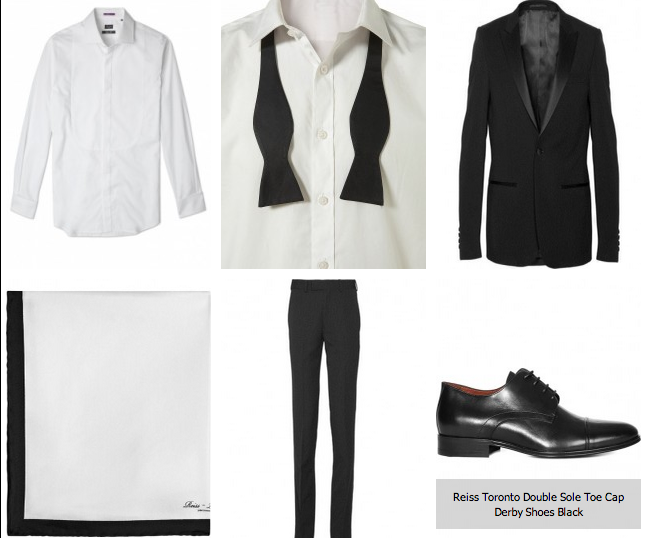 With the classic formal approach out of the way, its time to focus on dressing down your tuxedo. 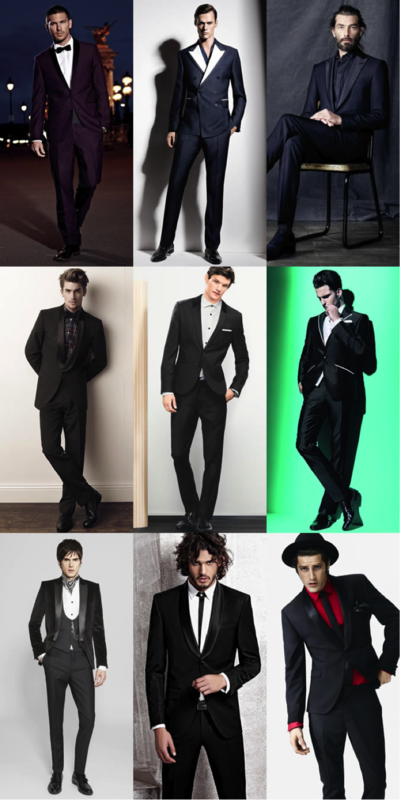 Check out the options below to see how a formal Tuxedo can be converted into smart casuals, effortlessly! Final Word: Men, always remember that the top half of your Tuxedo outfit should reveal more about you as a man than any other ensemble. However you wear your jacket, whether traditionally or in a modern way, just ensure that the essence of the black tie remains.